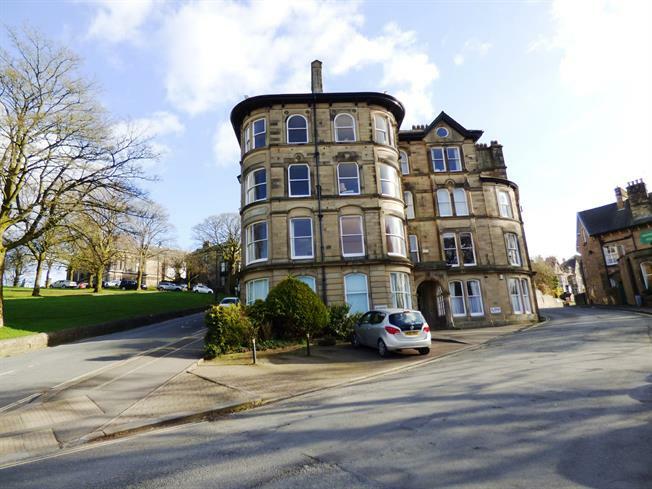 3 Bedroom Flat For Sale in Buxton for Offers Over £290,000. A rare opportunity has arisen to acquire a spacious first floor apartment offered for sale with no onward chain in The Savoy, off Hall Bank in Buxton, with superb views to the front over Pavilion Gardens and The Crescent and to the side over to The Slopes. Upon entering the property you will immediately be impressed by the large reception hallway with it's high ceilings and floor space creating added versatility to the main accommodation, which in brief then comprises of a living room with a feature curved bay window to the front, a dining kitchen, three bedrooms including two double bedrooms with feature bay windows and two bathrooms. Other features include allocated parking, sash windows, original coving in some of the rooms, gas central heating and the use of a communal terrace style garden on the same level. Viewing is highly recommended.